FKA Furtek Komosa Aleksandrowicz among laureates of Polityka Insight’s ranking “The ranking of regulatory law firms 2016” in Banking area. FKA has received the largest number of points from all recommended law firms for the complexity of legal services in the area of banking. FKA is one of two local law firms that have received this award. 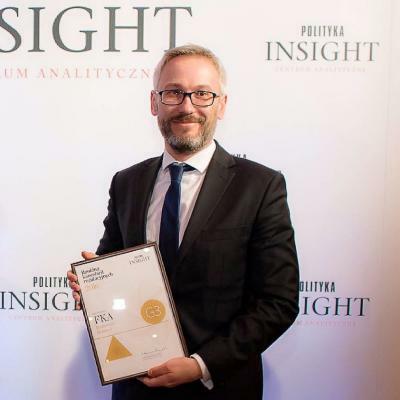 This is the first ranking of law firms in Poland organised by Polityka Insight. PI has chosen and rated law firms advising in five areas: banking, energy, competition, telecommunications and pharmaceutical law. The results are based on submissions gathered by PI’s analysts from the largest companies operating in regulatory sectors and from the law firms themselves.